Pikuniku is a game that has all the simple shapes and bright colors of a Nick Jr. show. It's got quirky controls, too, especially if you play with someone else. But Pikuniku is not the preschool romp that it first appears to be. Don't worry, we'll explain. 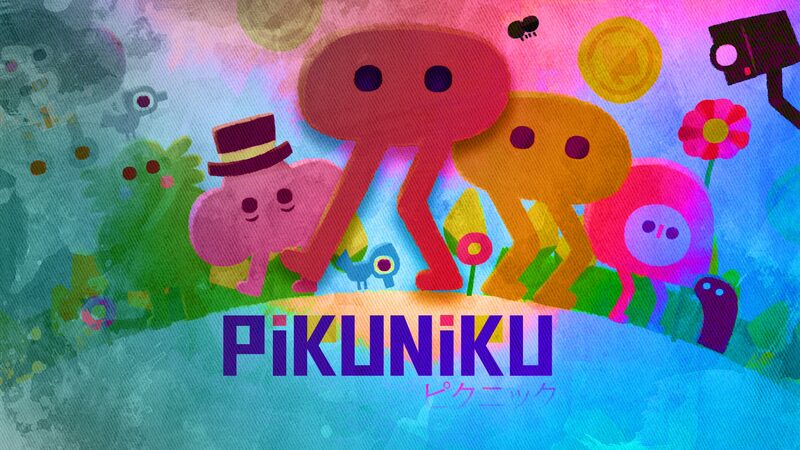 In gameplay terms, you control Piku, a bright red blob with long spindly legs. 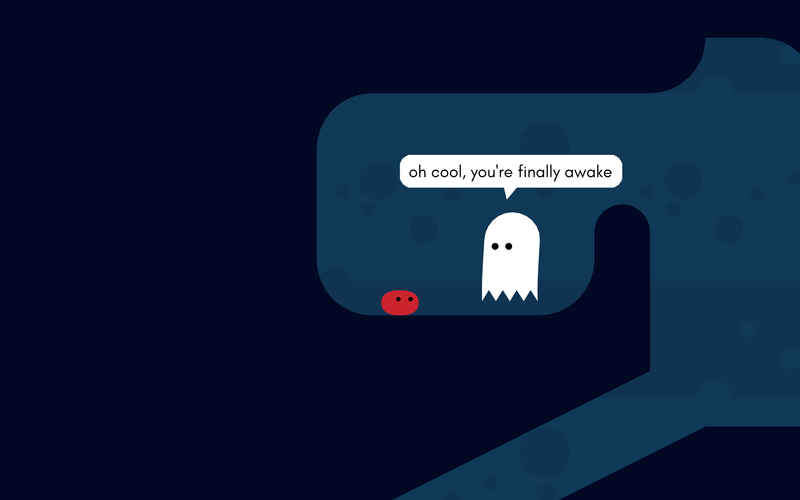 At the start of the game you’re living in a cave, but are quickly introduced to the controls and nudged into the world outside by a friendly ghost. Piku can jump in a pleasingly balletic somersault, he can retract his legs to remain still, and he can kick out with those same legs in either direction to punt scenery items around the screen. He can also talk, which is essential as much of the game is driven by meeting peculiar characters and fulfilling their needs. To begin with, that means making peace with the lumpy inhabitants of a nearby village who fear Piku and consider him to be a “beast” of local myth. Performing helpful tasks, and making amends for accidents, you earn their trust and eventually gain the ability to venture further into the world, where new communities await – along with a steadily building storyline involving the mysterious Mr. Sunshine, his flying robots, and habit of showering the inhabitants of this curious world with gold coins. Does this story lead to darker twists? It does, although rest assured it remains family-friendly with no profanity or adult themes. There are moments of sardonic humor that may fly over younger kids’ heads, but nothing that might cause offense. In fact, the publisher describes it as a “delightful dystopia” and that seemingly contradictory phrase is actually rather accurate. The more you explore, the more tasks you perform, and the more you learn about Mr. Sunshine’s plan, you begin to uncover a sly social satire in which a selfish tycoon hoards the world’s resources for his own needs, while distracting the populace with shiny tokens and catchy slogans. There are also multiple points along your adventure where your assumptions about characters are challenged, or Piku himself is called out on behaviour that, while typical for a videogame, would be problematic in real life. One early example is a spider, who must be kicked across a ravine in order to replace a bridge that Piku broke. Quite rightly, the spider isn’t happy with this treatment, and brings it up every time you encounter him afterwards. Suffice to say, though the messaging isn’t heavy-handed and is always couched in the whimsical presentation, there are deeper issues at play here which can act as useful prompts for conversations with your kids about social responsibility and personal morality. Absolutely. 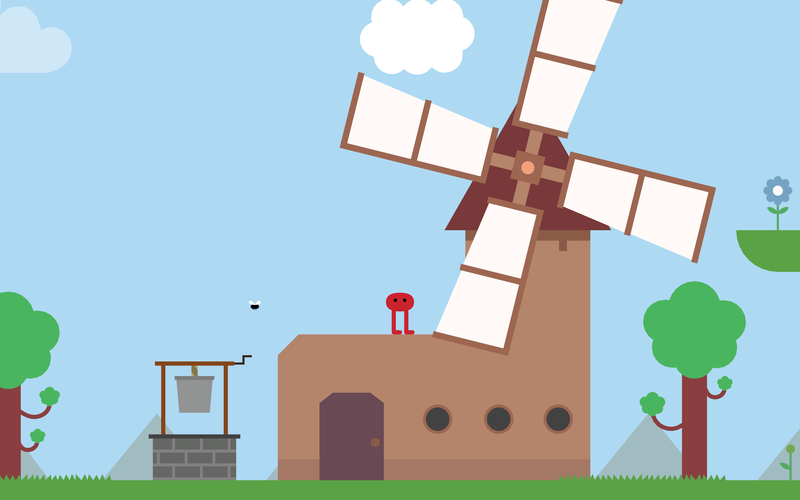 Pikuniku is a non-linear game, so unlike the strict left-to-right progression of a 2D Mario game, you’re free to explore wherever you want within the areas you’ve unlocked. This isn’t just something you can do, it’s something you’re actively encouraged to do, and some of the best secrets and surprises come when you wander off to see what else you can find in a previously visited location. 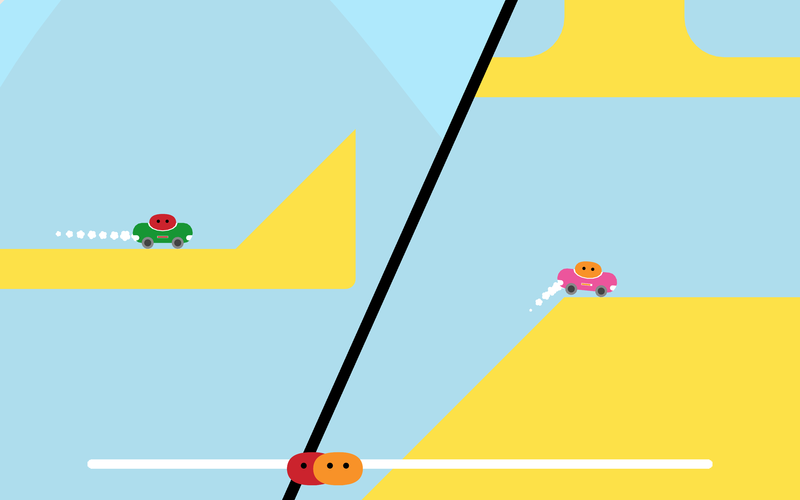 There are lots of different gameplay styles rolled up in Pikuniku’s breezy world, ranging from a riff on arcade classic Dig Dug to a dance-off against a robot. However, where kids may struggle is in the game’s lack of direction. There’s no map to keep you oriented, and no pointers to show you where to go next, so while the world is not distractingly large it is possible to lose track of where certain characters, objects, and locations can be found. There are also several points where progression relies too much on the game’s somewhat loose physics simulation. This provides lots of entertainment, as Piku wobbles and strides about interacting with things, but can also form a barrier when you need to accurately kick an object into place, or perform precision jumps in the eventual boss fights. Piku has no health bar, so on the rare occasions that defeat is on the table, it comes from one-hit kills that can become wearying. Though failure is never punished too hard, patience can easily wear thin when it feels like luck rather than skill is being tested. Does it have much replay value? 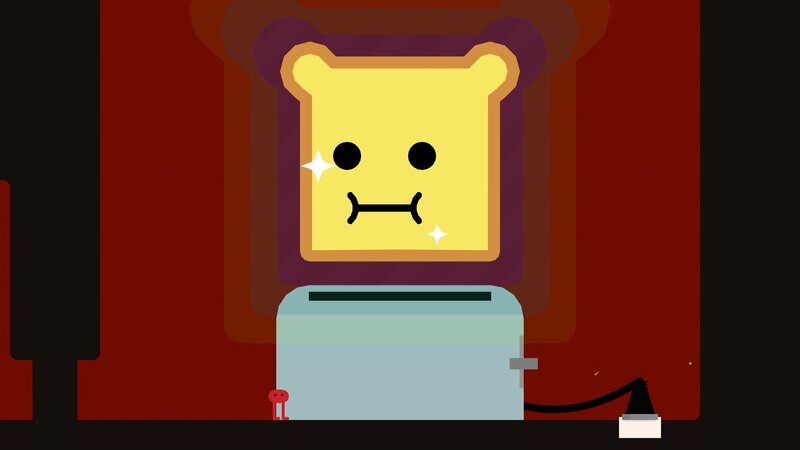 Playing through Pikuniku's story will take around four or five hours, but there’s a lot of additional material to add longevity. Piku can find and collect secret trophies hidden around the map (and also earned for performing specific tasks), while your collection of hats, items, and other objects gives you the ability to access places that were previously off-limits. A water hat, for instance, lets you turn small plants into larger blooms that act as new platforms. The game keeps going after the story is completed, so you’re free to keep roaming around and mop up anything you missed, or trigger new missions and encounters unlocked by your success. There’s also a generous selection of bonus content available when playing co-operatively with two players, including completely new areas and puzzles that require collaboration to beat. It’s also safe to say that Pikuniku’s world is charming enough that kids will want to linger there anyway, and enough of the distractions and diversions can be replayed multiple times for those who aren’t ready to quit for good. Despite appearances, this isn’t a game for very young kids. The free-form gameplay and sometimes frustrating challenges will likely prove too distracting, and the nuances of the story will likely be missed. For older kiddos, though, there’s plenty to enjoy -- not least the chance to discuss social themes and work together to explore a world that never stops being inviting and fun. It’s quirky tone and lo-fi aesthetic may not appeal to kids in thrall to the bombastic action of Fortnite and the like, but for youngsters with an offbeat worldview and an open mind, it’s certainly a great pick.